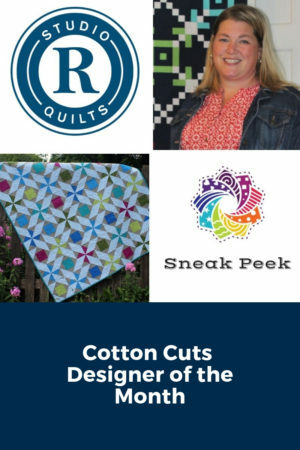 This month, Studio R Quilts will be Cotton Cuts featured pattern designer. It’s been fun working with Cotton Cuts to bring my patterns to a wider audience. 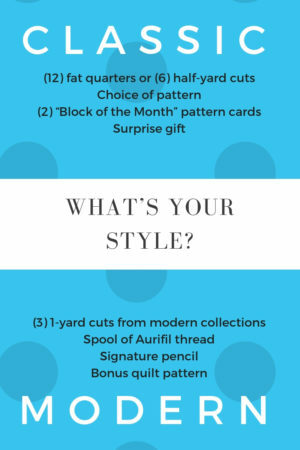 If you’re not familiar with Cotton Cuts, they offer a pretty cool subscription box service for quilters. Each month you can get a Classic Box or a Modern Maker Box delivered right to your door. Both options are fill of fun fabrics, patterns, and other sewing goodies. Customized to your particular interests, this service is a great way to discover new quilting products. For those that get the September box, you get your choice of a Studio R Quilts pattern. Boxes just started shipping and I am anxiously anticipating the arrival of my Classic Box. I can’t wait to see what fun goodies are included in the box. I’ll be sure to keep you posted on all the awesomeness that arrives. I am also hosting a giveaway over on my Instagram site (@studiorquilts). Check out this post, where you can enter to win your choice of a Classic Box or a Modern Maker Box. Hurry though, you only have until 5pm CST on Tuesday 9/18/18 to enter. Are you Classic or Modern? Leave a comment to let us know which option speaks to you.